Joint mobility and bone strength are essential for an active and healthy lifestyle. Every day your bones and joints experience the wear and tear of normal daily activities, and consequently are constantly in a process of breakdown and repair. In order for bones and joints to maintain a strong, healthy structure, the building blocks must be available for the development of new connective tissue. OmniJoint® omega-3 contains an optimum dose (1500 mg) of glucosamine. 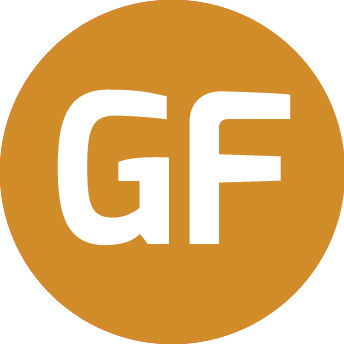 Glucosamine contains the necessary building components for the development of connective tissue. Why choose OmniJoint® Omega 3? OmniJoint® omega-3 is a rich source of omega-3 oils, it has a high concentration of Eicosapentaenoic acid (EPA)[44%] and Docosahexaenoic acid (DHA)[15%]. EPA and DHA are suggested to help reduce inflammation in muscles and joints. Essential omega oils cannot be synthesised by the body and so it is important to obtain adequate amounts from dietary sources. Vitamins & Minerals: Certain vitamins and minerals are important for healthy bones & strong joints, OmniJoint® contains boron, magnesium, zinc, vitamin D and vitamin K1 in suitable amounts to support bone and joint health. 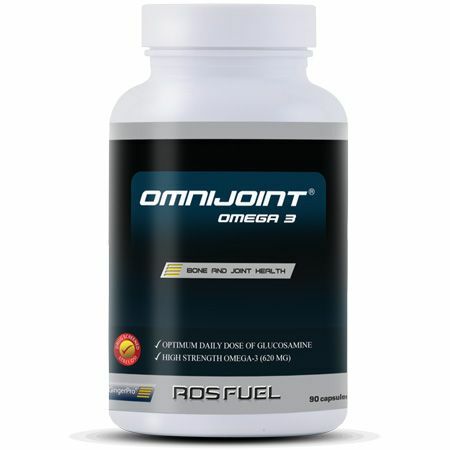 OmniJoint® is a registered trademark of ROS Nutrition Group Limited. Ingredients: Omega 3 oil, glucosamine sulphate potassium, sodium boron decahydrate, manganese gluconate, zinc citrate, copper citrate, sodium selenate, cholecalciferol, vitamin k.
Clegg DO, Reda DJ, Harris CL, Klein MA, O'Dell JR, Hooper MM, Bradley JD, Bingham CO, III, Weisman MH, Jackson CG, Lane NE, Cush JJ, Moreland LW, Schumacher HR, Jr., Oddis CV, Wolfe F, Molitor JA, Yocum DE, Schnitzer TJ, Furst DE, Sawitzke AD, Shi H, Brandt KD, Moskowitz RW and Williams HJ. Glucosamine, chondroitin sulfate, and the two in combination for painful knee osteoarthritis. N Engl J Med 354: 795-808, 2006. Gruenwald J, Petzold E, Busch R, Petzold HP and Graubaum HJ. Effect of glucosamine sulfate with or without omega-3 fatty acids in patients with osteoarthritis. Adv Ther 26: 858-871, 2009. Newnham RE. Essentiality of boron for healthy bones and joints. Environ Health Perspect 102 Suppl 7: 83-85, 1994. Take 1 tablet 3 times daily. Take 1 in the morning, 1 in the afternoon and 1 in the evening.